Not trying to tread on the toes of any organisers, but it might be simple to piggyback on another event. There is a Co-operators camp at Green Gathering - the co-op camp is free to cheap but you have to work some shifts with the other co-operators. The festival without shifts is £95 to camp, but has the advantage you can do what you like and chat to the other co-operators when you fancy. Full disclaimer: I can’t go as it’s my birthday and I plan to be in no fit state. Thanks Harry. Good to know about as a possible fall-back. My take is the CoTech camp should try to focus on cooperation within CT to kick off with. Sorry @asimong - most people haven’t transferred from Loomio yet so I was just adding placeholders. 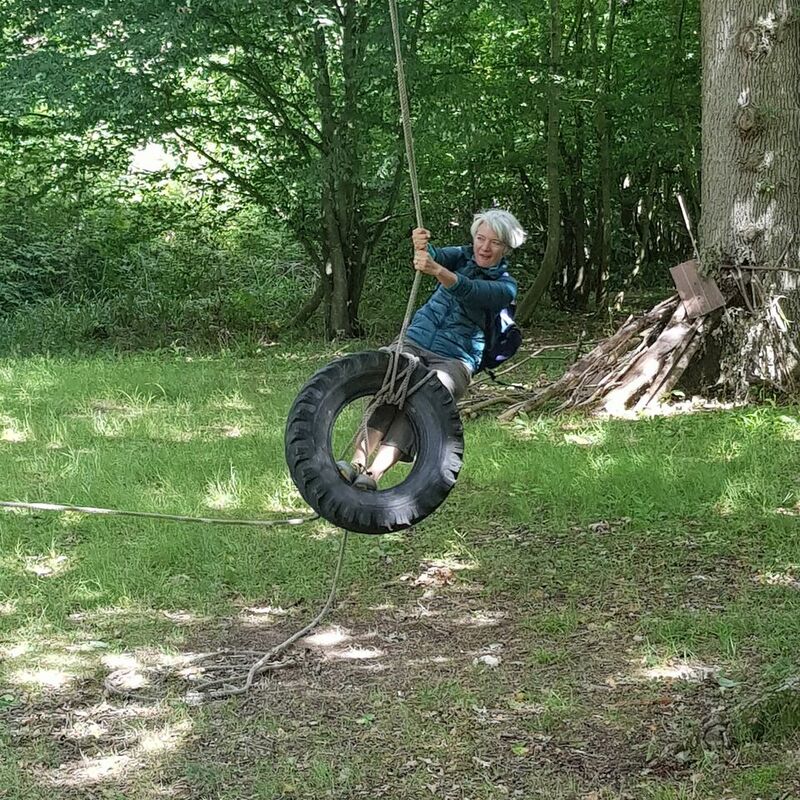 In my position as part of the elected “fearless leadership”, I have already started to make some arrangements for the Summer Camp. I have made a provisional ‘booking’ on the site near me and made some tentative arrangements regarding portaloo and portashower bloc. I have also made a provisional enquiry regarding ‘luxury’ accommodation for people who might not want to sleep under canvass. I am looking at two potential weekends towards the end of the summer a) 25/8, 26/8, 27/8 b) 1/9, 2/9, 3/9. The first (august) weekend may be a non starter as that is a bank holiday weekend and Co-Technologists may not be up for that. The site itself is free but there will be costs for the washing and toilet facilities. But these costs along with those for catering (food and fire) will likely be the only budget considerations for the campers. The luxury accommodation would cost £202 per person for 10 people (3 nights). 10 is the max number for the luxury accommodation and if fewer people wanted to take that option the cost per head would increase. The site itself is beautiful with numerous wooded locations for meetings, workshops, etc. There is also a large barn available for us to meet/work if the weather is appalling. There should be ample parking, secure bike storage and transport to and from the local rail stations. There are a few relatively handy pubs within a short drive and one pub even in walking distance. The proposed ‘site’ is on the Isle of Oxney near Rye, Sussex (although the site is actually in Kent). Rye and Tenterden are the nearest sizable towns and there are good transport links via the London St Pancras/Ashford high-speed rail link. Obviously I need to discuss this plan with my fellow organisers @marcd @eduardo @simongrant. I didn’t know that @mattparsons was involved as I didn’t see him on the original Loomio discussion and vote. Of course I would welcome any comments and questions. I will also flag this post on Loomio. Thanks AC @andyrcroft. (I’m @asimong just to ensure I get notified). Your description of your suggested location sounds appealing. Are we likely to get people from the continent? If not, it does seem rather extreme south. Joking aside, with a distributed group like CoTech ‘anywhere’ will be difficult for someone. (Wortley Hall and Kent are both at least a 3 hour journey for me eg) . I’d suggest proceeding on a ‘build it and ‘some’ will come’ basis? When I was agreeing with the proposal for a low-cost “camp”-like event, the reason was that I felt it was necessary to be open, without the deterrent of a higher cost, to people who were not sure about the purely financial case, and incentive, for straightforward co-operation and collaboration with the established framework, or under the current dominant assumptions. Isn’t it the case that people who have that mindset (quite understandably and rightly) can still go to Wortley again? The motive, for me personally, in having a more open event is, primarily, to be open to deeper co-operative thinking; how technology can serve co-operation and the co-operative sector better; how we might collaborate to make our world more co-operative, more equal, etc. Part of this, I imagine, can be done by living the co-operative values, including (and especially) at the event itself. It’s about building a culture, getting a sense of that culture, and reflecting on how technology can help motivate and empower that culture, and (in due course) bring it into the mainstream, for everybody. My hope would be that we would, at the same time, be building tools that people in the mainstream found useful, and were willing to pay for, because the culture we aspire to should be one that appeals to people’s genuine reflected values, not their shorter-term survival needs. There is another very respectable and overlapping motive: to try to convince existing tech co-op businesses about how to collaborate for everyone’s financial advantage, when they can’t see that quite yet. That can still be within the current paradigm. It’s more political with a small ‘p’, more “how do I look after myself / my family / by business next year”. Sure, you have to have this in the meanwhile. But there are alternative ways of doing that. “There Is No Alternative” is a lie, whether conscious or unconscious. So I guess I’m looking for who is willing to share this rather deeper approach, that is engaged with the current state and direction of the world, and willing to do things differently, but not only for ourselves. If we don’t have sufficient people to do this during this year, that’s OK with me; but the kind of event I wish to help organise is one where there is definitely room for this kind of deeper thinking and sharing, and also where the financial burden is a low as practical. So we could have “digital nomads” on board, should they care to participate. There won’t be many peeps from the continent - if any. But as Roy says, given the catchment for Co-Tech - everywhere or anywhere is a long way away from where most people come from. The main advantage of my location is that it’s near the high speed rail link and so only an hour or so from London. AC: Yes - indeed, this should be a low cost event as far as possible. With my proposal, for the camping element the only (known) costs would be the hire of the toilet facilities and shower, which should have a cost per head of less than £20 (based on 30 attendees). We would need to discuss catering i.e. would people a) want us to provide food and drink - in which case we would source cooking equipment and food/ingredients and the cost per head for the weekend would increase accordingly or b) everbody self- caters with maybe a couple of bbqs to develop the co-operative vibe. I’ve included the ‘luxury’ accommodation option for people who don’t actually want to spend a few nights under canvass and object to peeing in a bucket. AC: It’s really not for me to set the agenda/format/content of the gathering. I would expect that to be set by the group through Loomio/discourse/whatever – prior to the event. I’m just trying to set up a field/woods for people to sit in to discuss I know-not-what (or a barn if it chucks it down). AC: As I say, I’m not looking set the agenda/format for the gathering. As you now know I have a pretty specific ambition for Co-Tech, which I know not everybody shares. If you and others want to position the event as an opportunity for what you’ve outlined above, and the group is agreeable – that would be excellent. My suspicion and experience suggests that there are many in the group who would support you. AC: Can I suggest that you and others (@marcd @eduardo @mattparsons ) have a think about alternative potential venues and dates to provide an alternative to my proposal. AC: My hope and expectation is that we can do something this summer, in which case we’d need to get a wiggle on. But again if people would prefer to take longer to work out what the group wants/can attend and by necessity we look to holding the first event next summer, so be it. I hope that helps. Again anybody and everybody please get back to me with comments, etc. It has been proposed that Co-Tech hold a ‘summer retreat’ to complement the Wortley Hall event, with the aim of a) continuing the dialogue around Co-Tech and its development b) offering a lower priced opportunity to get involved for people with restricted funds. A plan has therefore been put together for a camp to be held over a weekend during this summer. The agenda for the event will be developed separately by the group as a whole on Loomio and community.coop.techs however in essence there will be a series of presentations and workshop sessions. This will be a real camp i.e. sleeping in temporary fabric structures (aka ‘tents’) and dining will be al fresco. Toilet facilities will be provided (and not just a bucket/bush). There will be a ‘wet play’ area (barn) so that we can continue working if weather is awful. Venue: The proposed venue is Wittersham on The Isle of Oxney (Kent). TN30 7EL. About 60 miles south east of London. Good transport links via high speed rail link to Ashford. Pubs, etc available in Wittersham and nearby Rye. Please now confirm your intention to attend by voting for the weekends that you can make. Based on this vote the decision will be made on when or indeed whether to hold a camp this year. Please let me know if you have any questions, suggestions, etc. In setting up the Loomio vote on the camp dates, I couldn’t see an option for ‘I can’t make these dates but would have liked to attend’. If you would like to attend if there were alternative/additional dates available, perhaps you could let me know here or email me at andrew@gildedsplinters.coop. Everybody please note that I have added the weekend of 28th July to the Loomio vote as an available date for the Co-Tech summer camp. Apologies - previous omission due to clerical error. Please get voting. There can only be one winner (i.e. one date chosen). OK - it’s 3 weeks to the camp. Time to get busy with the fizzy! The portable toilet is booked and I’m now looking into sourcing some cooking resources (portable gas burners,etc) so that we can cook curry/chilli and rice for Saturday night. My partner in crime has got a big tent/shelter so that we have somewhere to huddle if it pours suddenly (there’s also a barn if it decides to rain literally non-stop) and also for people to sleep under if they arrive sans tent. And so - what are we going to do?? What’s going to be the agenda?? Even if you’re not planning to come (and there’s still plenty of time to change your mind and pitch up - even for just a day or an afternoon/evening), please let us know what you’d like to as an out put from the camp. What has CoTech achieved since the Wortley Hall event last autumn? How have we matched up to the vision/mission/expectations that we set ourselves? What goals should we set ourselves for the next 6 months/12 months? I’m hoping that we can aim to produce some definite and actionable learnings and planning that we can report back to the group a) by Loomio b) present at this autumn’s Wortley Hall event. Just thought I’d give you all a last shout about the summer camp. 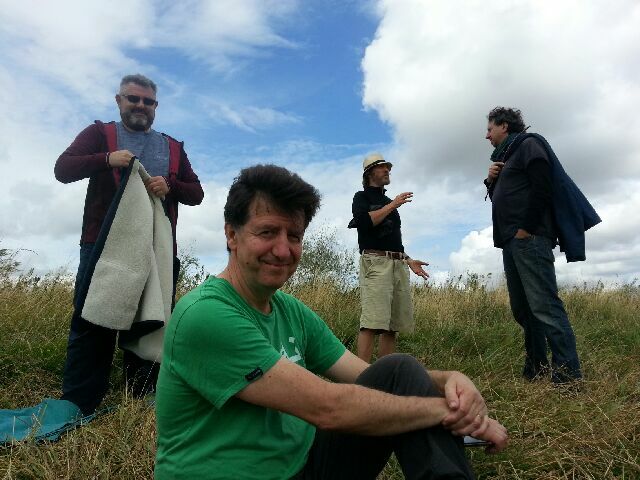 We’ve assembled a highly co-operative and creative group - but there’s always room for more (it’s a big field). If the fun packed schedule of your busy and hectic lives have changed and you suddenly find yourselves facing a weekend without plans, why not join us? We’d love to see you. We can help out with equipment, etc if that’s the only barrier to you getting involved. Perhaps more importantly, are there any issues around Co-Tech, it’s development, etc that you think our group could provide input on? Do you have any questions that you’d like to put to the group? I hope to hear from you, or even better - see you here in Kent this weekend. (Edited cross posting from the Loomio group, apologies) Big thanks and merit to @andyrcroft for organising an extremely adjacent weekend down in Kent, and to other CoTechers who attended - Louise (Media coop) @Felix, Eduardo Open Ecommerce, @royAB et al. Sorry for others who couldn’t make it. 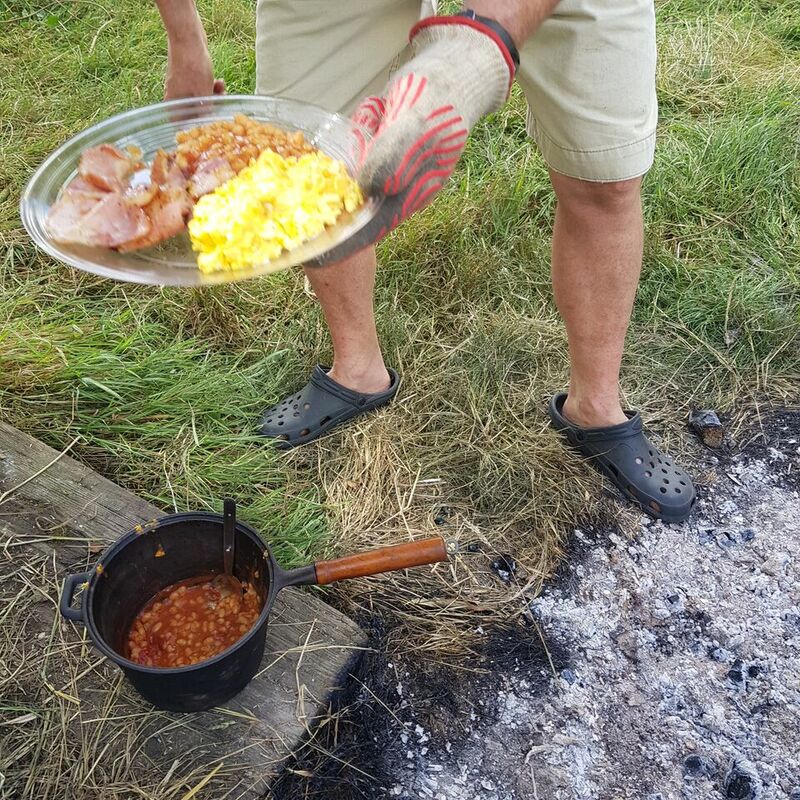 All meals were cooked on a large open fire using wood combustion/trivet/cast iron technology, and the big rain came at night. Good also to meet others from Gildedsplinters and their circle. Useful and animated discussion and perspectives on the development of CoTech, which will get written/tidied up and submitted here.